So this is a thing. Imaginarium's prices are batshit insane, since it's so expensive to make things that don't have joints, I guess. Looking at some of their other stuff, the paint looks nice in places. Edited by Copper Bezel, 04 January 2018 - 08:10 PM. Timeout. Does the statue convert into another statue? I'd love put the faces on my wall but no one has made them in like displayable size. Those statues are ludicrously expensive, but then I compare the price to toys and realize that gee, those are pricey too. The paint does look nice. I just can't take them seriously when threeA has the same level of detail and paint work, but with much tighter sculpts, and applies them to fully articulated figures made to be handled and posed and not break in the process, and does it for significantly less, while Flame Toys just skips the "weathering" and is otherwise doing the Hot Toys thing with absurd levels of working mechanical detail for even less than that. In the class of "Transformers figures that don't transform and cost as much as a new computer", Imaginarium is still exorbitantly expensive crap. Edited by Copper Bezel, 05 January 2018 - 09:19 AM. I'm in this for cheap plastic thrills, so I don't know anything about that high end stuff. The threeA things are actual toys? That's kinda neat. Around the middle of the review, he demonstrates the shoulder mechanics, and there's like three different materials being used to make all that crunchy mechanical innardry work for butterfly motions without breaking or chipping anything despite looking like someone's playing pick-up sticks with a knife collection. Edited by Copper Bezel, 05 January 2018 - 09:47 AM. Well, they're not toys you could, like, play with, obviously. And some of the joints are a little harrowing. Imaginarium announced a Wheeljack back in April. And now the first full render is up. Diamond Select Galvatron was $70 from head to hips. Imaginarium Galvatron is going to be $1,100. Maybe his legs are made of platinum? I know these things are like 20" tall and the market has changed, but they don't even move and should not cost more than the $300 FlameToys figures that do. And then there's 3A's, which are also huge and painted as extensively as the Imaginarium statues, still action figures, and less than half the price. Combined with the dull, emotionless poses and faces and generic mechanical detailing, I don't feel like there's ever much to say about these things aside from "lol". Maybe it is market changes, and all of this made sense at one time. I know this market for very pricey and exclusive (usually film-oriented) "designer" merch statues exists. It definitely seems out of place now. There's a Skywarp (along with Starscream and Thundercracker statues) coming. So I'm going to have to drop a mint on the Skywarp one if it ever comes out. 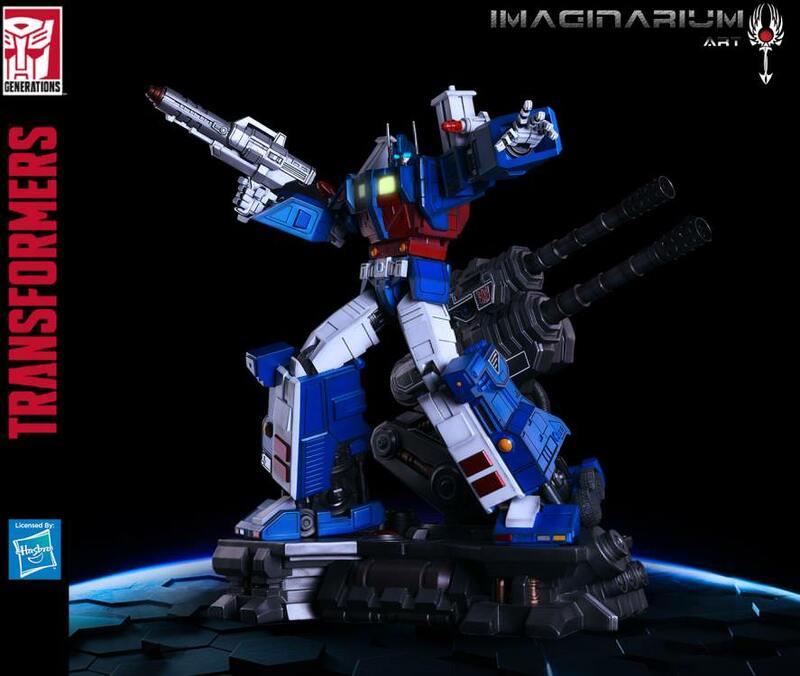 Is Imaginarium still amusingly ganking third party designs like on their Rodimus and Devastator, or are they back to just reusing MP designs like Ultra Magnus, Starscream, and Soundwave? Best thing they ever did was the Wheelie/Grimlock thing. I have never really understood who the market for these is. I mean, maybe the quint, as that's at least something that doesn't have loads of other superior implementations elsewhere. But otherwise it's weird. I think it is a truism that no one outside the (apparently large and wealthy) statue-collecting demographic understands people who buy statues. 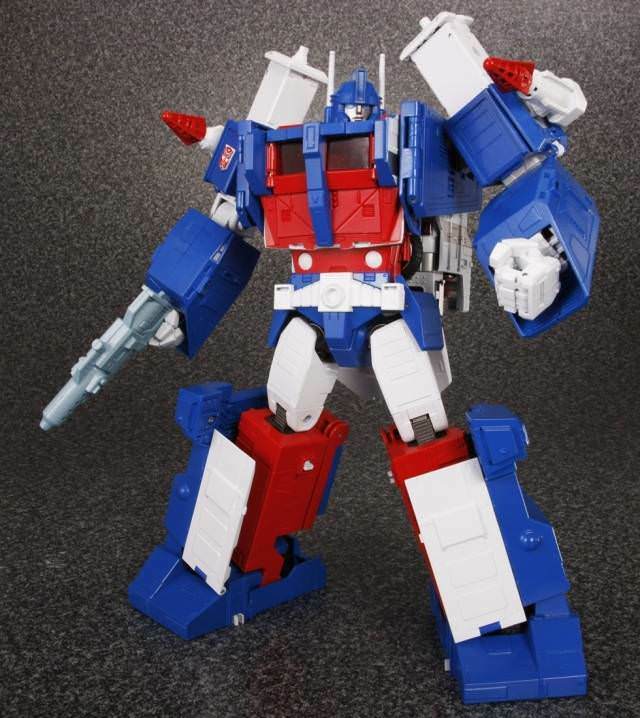 I think I understand it the least when I see stuff like the Ultra Magnus statue that is literally the MP figure, doing one thing the figure can't and a whole hell of a lot less than it can. For 5x the price. Huh? Am I looking at the wrong Imaginarium Magnus? These seem like very different treatments of the same base design to me. It's not lost on me that all of the differences are in the MP's favor when they aren't a result of transformation necessities, but there are also definitely some of those. They definitely started with the MPs, just like how the Rodimus and Devastator started with DX9 Carry and MakeToys Not-Devastator completely and the finals were changed just enough to make them not so blatant. Ah, gotcha. I was just misinterpreting your "literally the MP figure", sorry. Edited by Copper Bezel, 18 May 2018 - 02:07 PM.